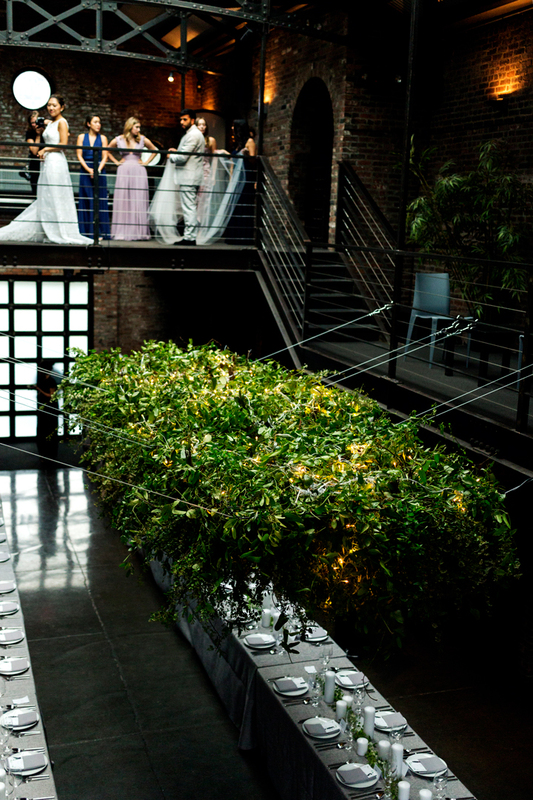 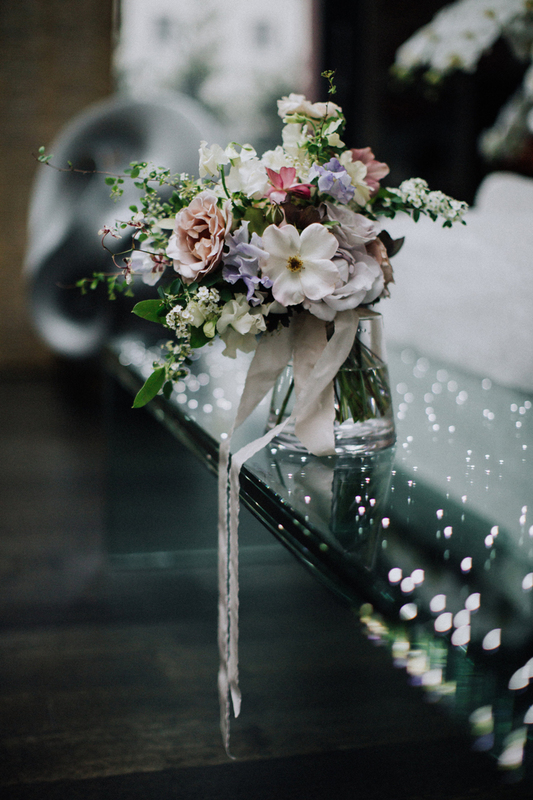 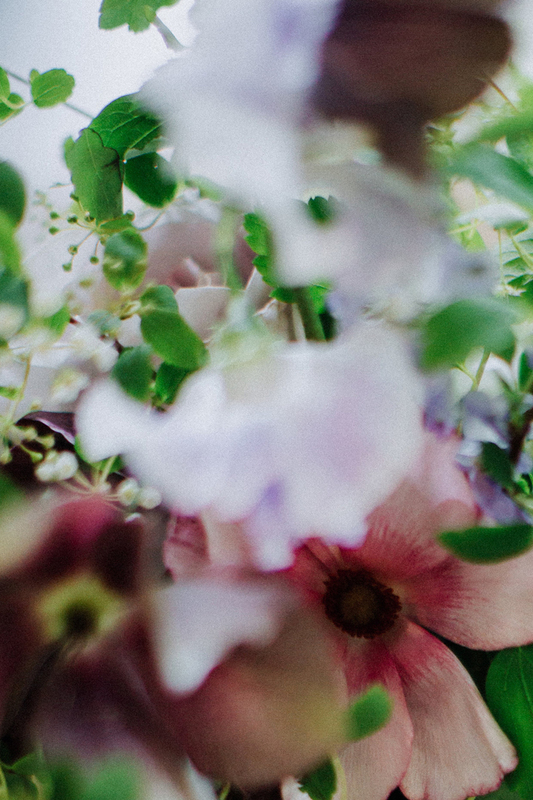 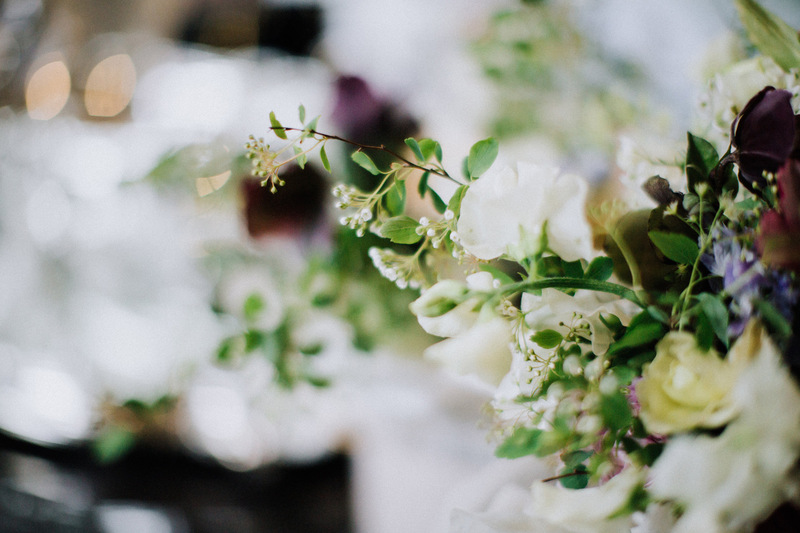 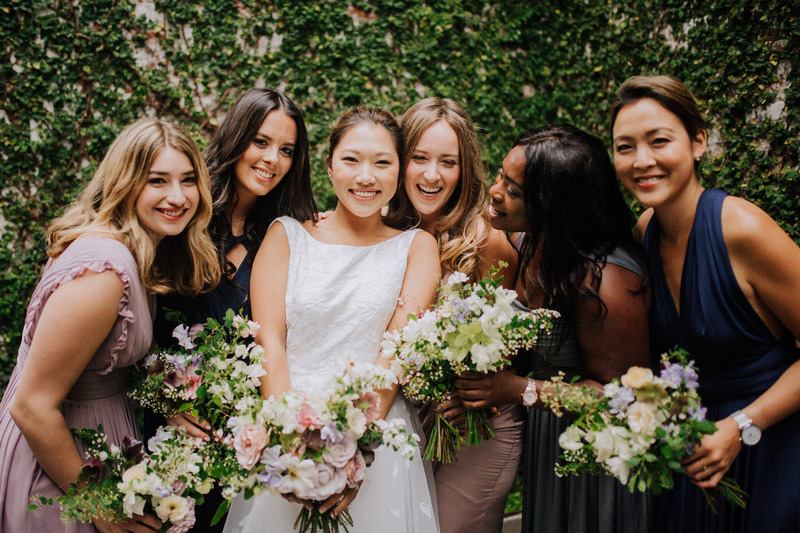 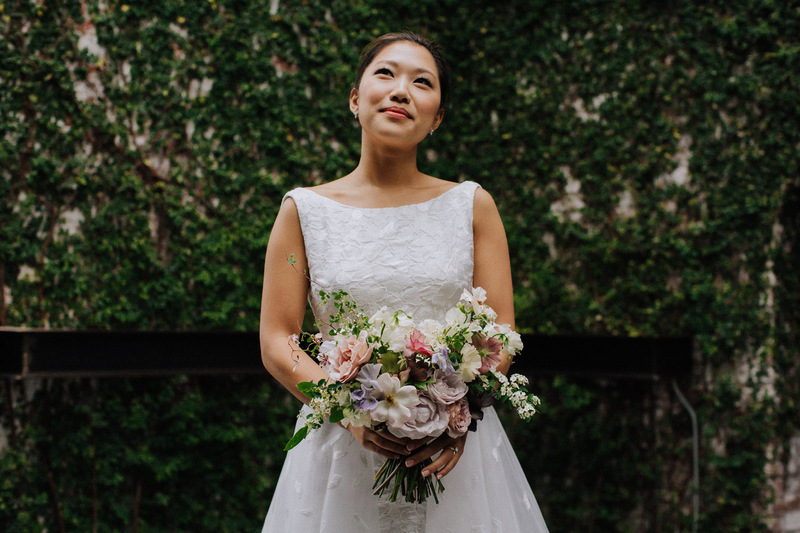 Claire & Ian hosted their wedding at The Foundry, Long Island City. 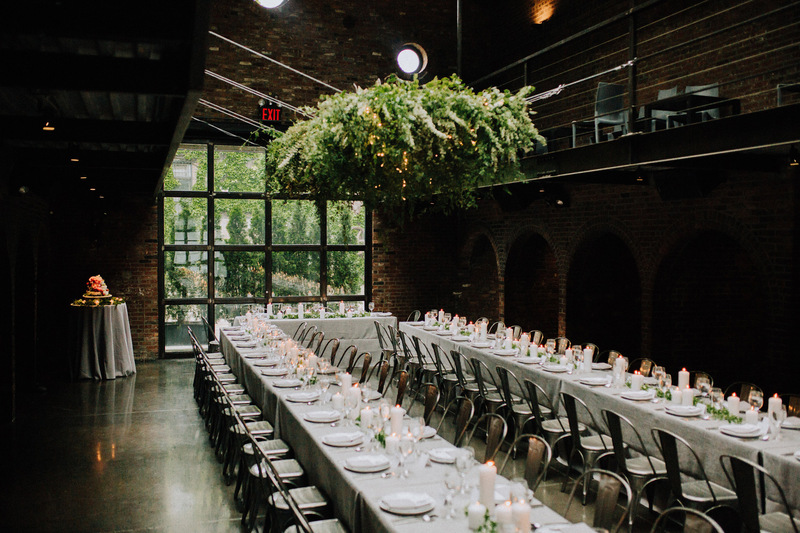 To enhance the intimacy of the space, we brought the ceiling down with a 20 foot hanging garden of wild smilax and soft flowering spirea. 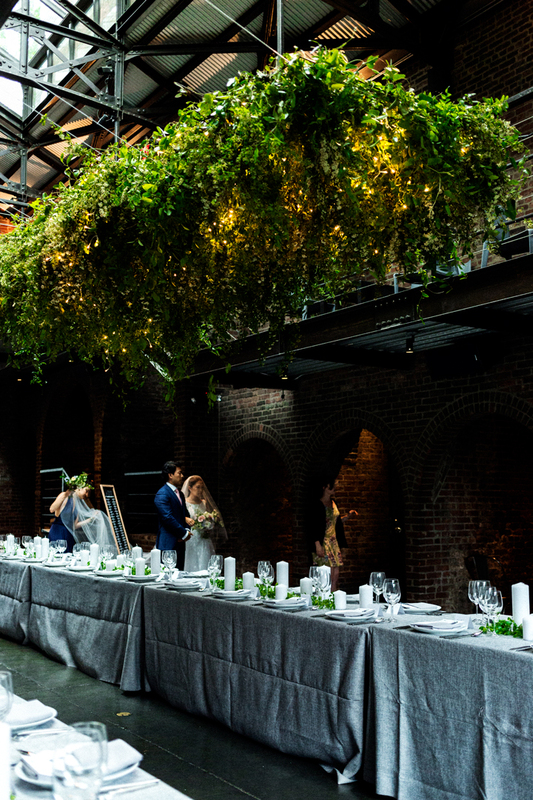 The structure hung overhead as guests dined amongst, adding to the lush, overgrown and aesthetic.